A grant program aimed at helping property owners in downtown Waterville restore their buildings named 11 winners Thursday. The Facade and Building Improvement Grant Program will provide a total of $60,000, according to the Central Maine Growth Council, an economic development organization that oversaw the applications. The grants, funded by Colby College and the Bill and Joan Alfond Foundation, will reimburse as much as half of the total estimated project budget. They are being applied to projects that begin this spring. Funds can be used to restore and renovate commercial buildings located within Waterville’s downtown district. Eligible projects range from new awnings and signage to brick repointing and the removal of nonhistorical alterations to building exteriors. “Downtown businesses and property owners are extremely thoughtful in how their storefronts add to the character of downtown and contribute to a successful local economy, and their applications honor the architectural design roots and cultural significance of their buildings,” said Garvan Donegan, director of planning and economic development at Central Maine Growth Council. He said the grants are expected to stimulate more than $325,000 in direct investment in downtown storefronts and facades this calendar year. 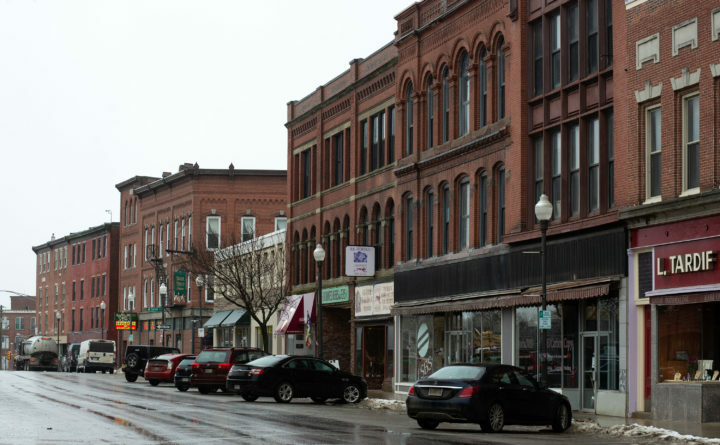 The grants to improve facades and help maintain downtown buildings are part of a larger effort to revitalize downtown Waterville. The city’s redevelopment kicked off with a $20 million commitment in October 2016 from Colby College and the Harold Alfond Foundation. Colby alumni and private investors also are buying buildings and upgrading them.